With both the parents working, they are unable to spend time with their children thus failing to contribute in their child’s growth. Children acquire their behaviour by observing elders and other individuals. Their habits, practises and style develop according to the people with whom they spend most of their time. To raise a child as a good human being,the parents need to know the psychology of the child. While a parent demands all-round development of a child, it could only be achieved by a healthy environment. To help build good circumstances for growth, introducing chess to your kids is a great way to evolve their transitional phase. While the parents are away, the child can engage in exercises that will train their mind to think uniquely. For the child its a game but it enhances their cognitive and social abilities. Playing Chess covers various contexts of psychology, like a child's mental, physical, emotional and social growth. Chess acts as a mentor of the mind, it lets the child think, learn and analyse better. In school it would help the child to catch up and learn quick than other fellow students. It is educational, yet fun. Reserches conducted, reveal that children who play chess has a higher intelligence quotient. A research was conducted on 4000 Venezuelans second grade students, by training them systematically on how to play chess. It was observed that there is significant increase in their I.Q. only after 4.5 months. Children have creative minds, they look at the world from a different perspective, than adults. With regular practise in playing chess, children can bloom their creative minds and nurture originality. They can recognise their passion through singing, dancing, sports, dramatics etc. 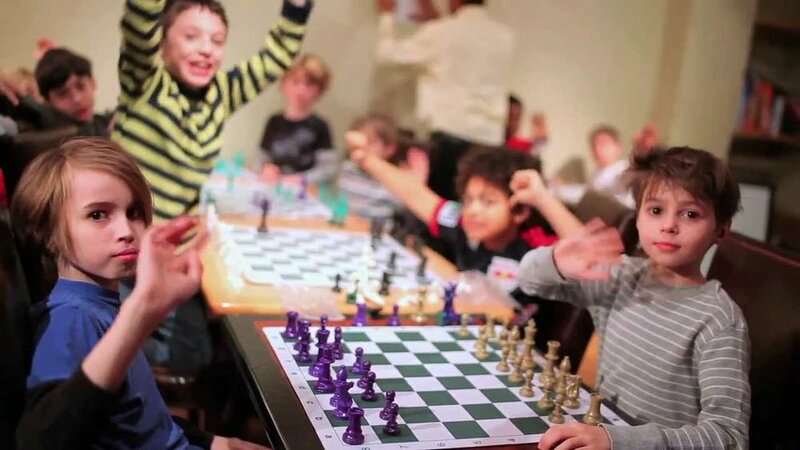 Even schools include recreational activities as compulsory subjects to bring out the creative side of the children, thus a child good at chess will always excel in recreational activities, compared to his/her fellow students. If we consider chess as a game or a sport, then it could work well in improving sportsmanship. It would teach them the philosophy of wining and losing which has to go hand in hand all throughout one's life, and it should be embraced equally. Kids should take this as a part of growing up and not as a barrier to their success. As we know, kids love to interact and socialise. But the current scenario suggests that kids these days, spend their entire day watching T.V or playing video games on their mobiles or tabs. Being technologically active is great but cutting themselves off the real world would be a disadvantage to them later in life. Chess lets them interact with other people irrespective of culture, community, gender or age. It even creates bond and unifies people. There are several other benefits that a chess player constitutes, it increases attention and alertness, helps to retain calmness, develop problem solving skills, activates street smartness, builds confidence, improves mental maths and many others. So, in case your child needs to buck up in school, letting him learn chess is a good idea!